The RDN partnered with Ducks Unlimited Canada in 2003 to purchase this 4.6 hectare spit at the mouth of the Little Qualicum River west of Qualicum Beach. Critical habitat for marine life and waterfowl is found here and in the adjacent Marshall-Stevenson unit of the Qualicum National Wildlife Area and BC's Parksville- Qualicum Wildlife Management Area. 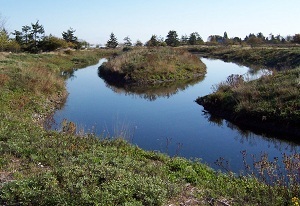 The Little Qualicum River Estuary Regional Conservation Area is one of three estuarine sand spits along the east coast of Vancouver Island that has escaped development. To promote conservation, public access to the spit is restricted. The Wildlife Management Area beach is generally accessible and provides ample opportunity to enjoy the natural beauty of this estuary. 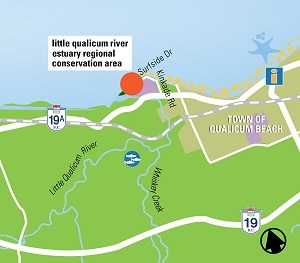 For further information on the Little Qualicum River Estuary Regional Conservation Area please click here. Take Kinkade Rd (off Hwy 19A) to McFeely Dr and the beach access parking lot on Surfside Dr.